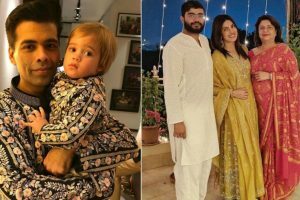 Post the celebrations, many celebs took to their social media accounts to wish their fans. 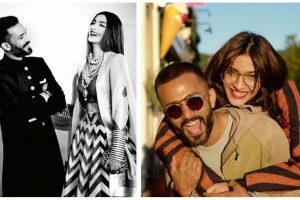 Designer Giorgio Armani extended a special invitation to Sonam and Anand to attend the show and the couple posed with designer Giorgio Armani and Hollywood royalty Cate Blanchett. 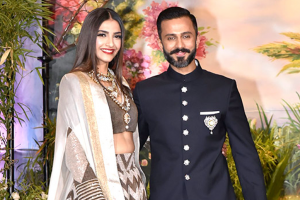 Sonam and Anand were seen at the Armani fashion show in Milan giving everyone major fashion goals. 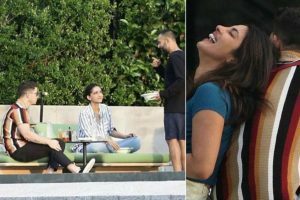 After attending the Ambani bash at Lake Comoin Italy, the couple graced the Giorgio Armani’s show at the ongoing Milan Fashion Week. "Anand and I are honoured to be Giorgio Armani's guests. 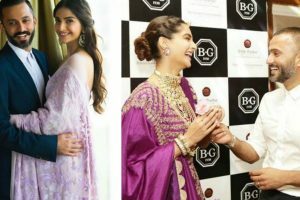 We look forward to the show in Milan," Sonam said in a statement. 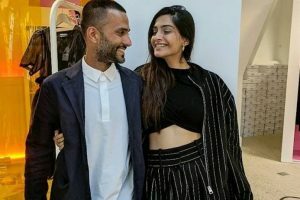 Anand Ahuja proposed Sonam Kapoor without a ring? 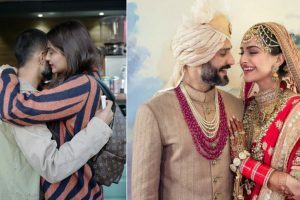 Anand did not have a ring when he popped the question to Sonam, and the actor said 'yes' without waiting for a ring. A few days ago, Sonam was spotted at a salon where she got her hair makeover done. However, she kept her look under the wraps. 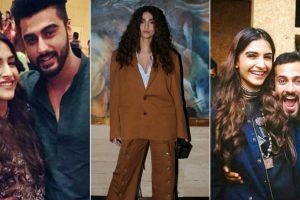 Continue reading "From Sonam Kapoor’s birthday cake to Rhea Kapoor’s gift, Anand Ahuja’s perfect birthday"
Continue reading "Know what did Anand Ahuja gift to Sonam Kapoor on her birthday"
Continue reading "Sonam Kapoor’s ‘phenomenal’ birthday in London"
Continue reading "PDA alert: Sonam Kapoor receives heartwarming birthday wish from Anand Ahuja"
Continue reading "Sonam Kapoor’s hubby Anand Ahuja decodes their wedding hashtag"
Continue reading "Sonam Kapoor, Anand Ahuja to settle in London"
Continue reading "After Sonam, hubby Anand Ahuja changes name on Instagram | Find out what’s it"
Sonam Kapoor's style statement is always fashionable and knows how to turn heads. 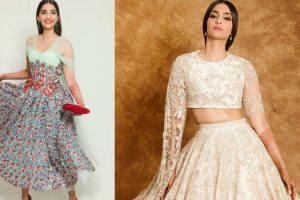 Continue reading "Cannes 2018: Newlywed Sonam Kapoor graced the red carpet in desi look"